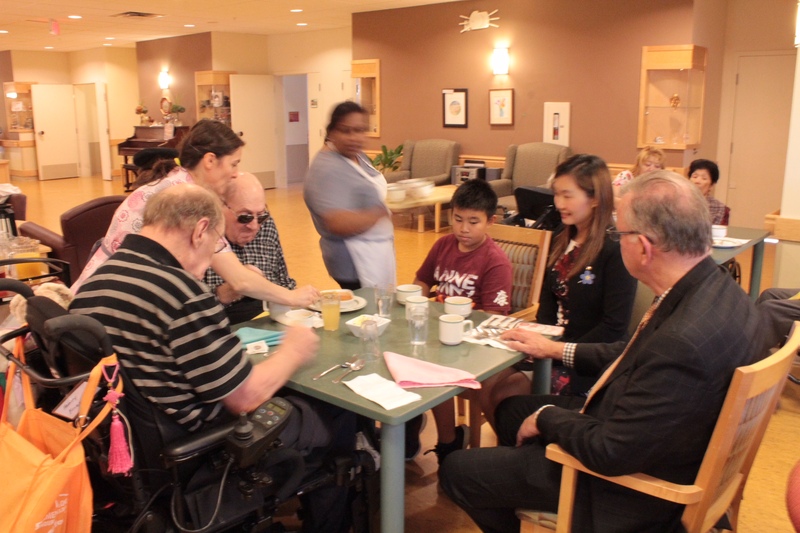 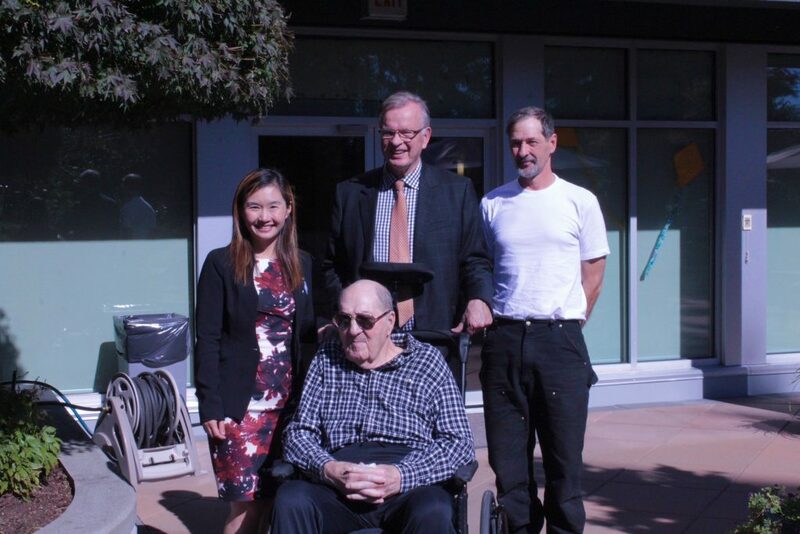 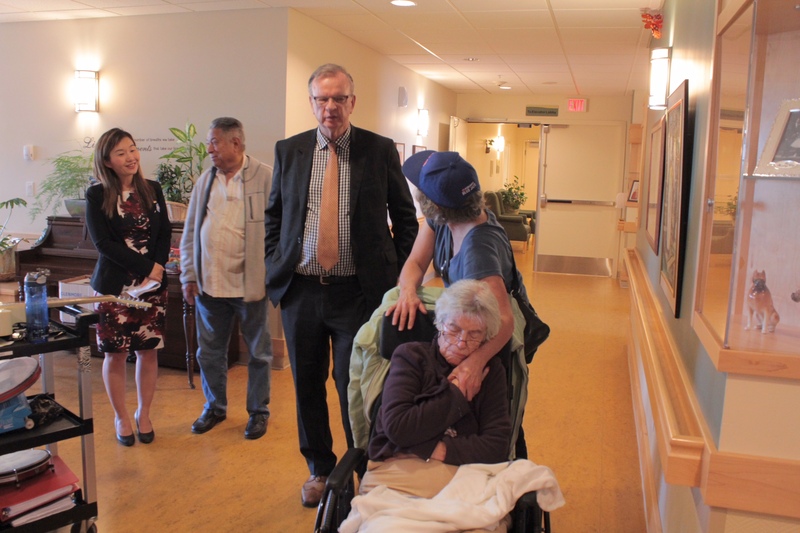 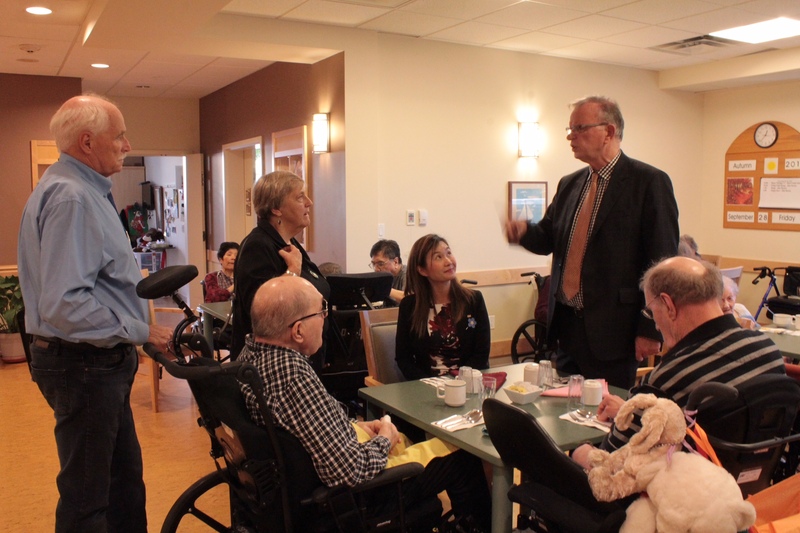 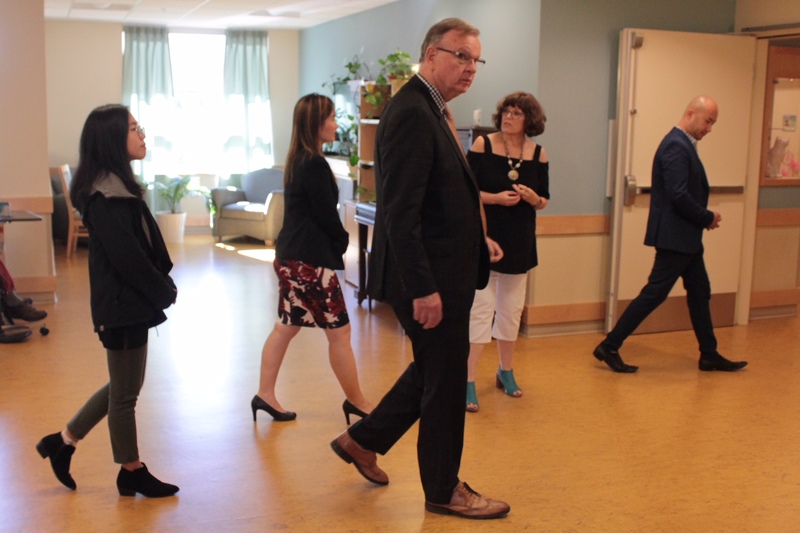 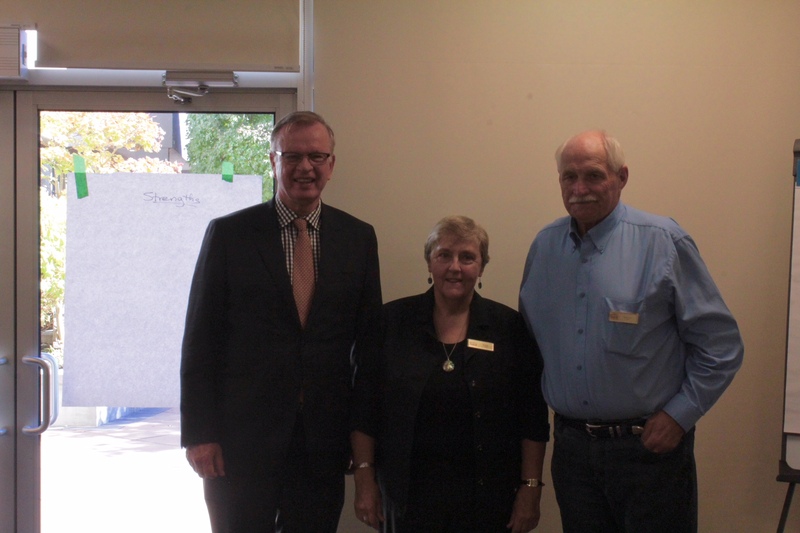 On September 28, 2018 MLA Bruce Ralston visited the Kinsmen Lodge accompanied by the MLA for Burnaby-Deer Lake, Anne Kang, who is also the parliamentary Secretary for Seniors. 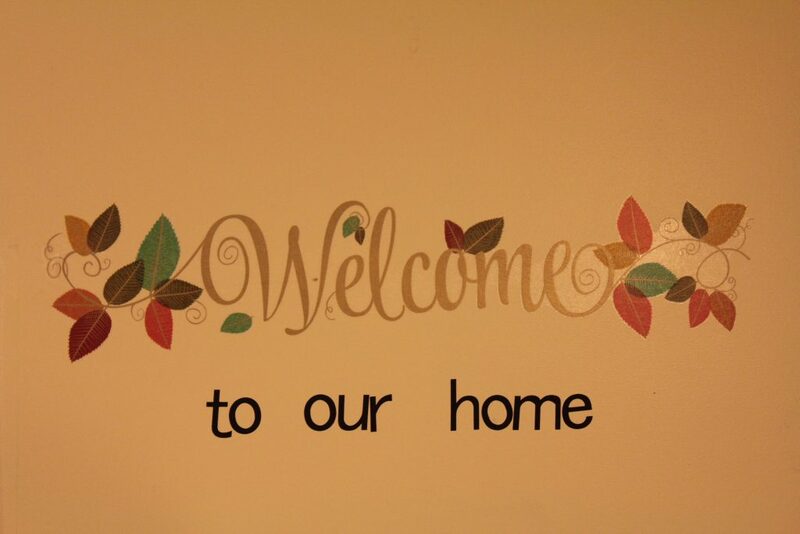 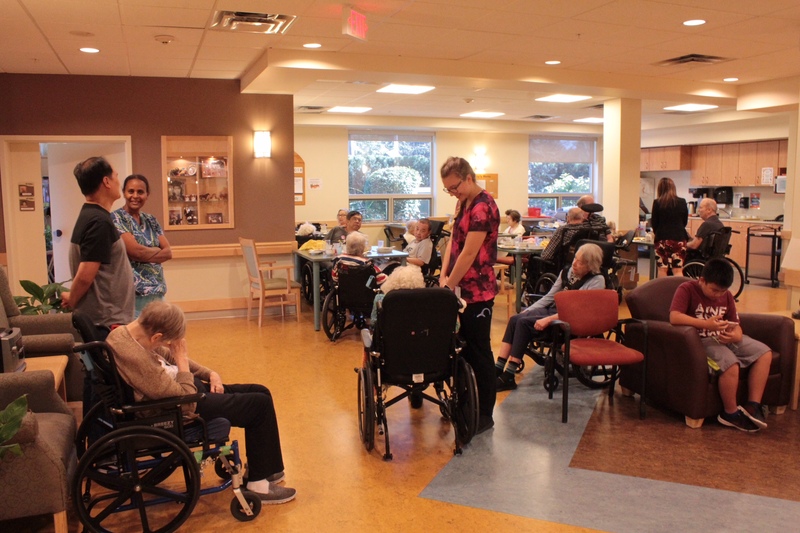 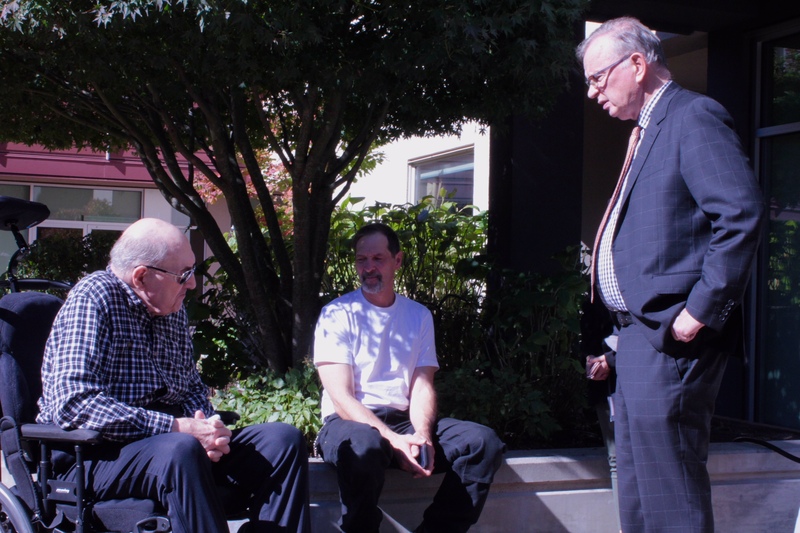 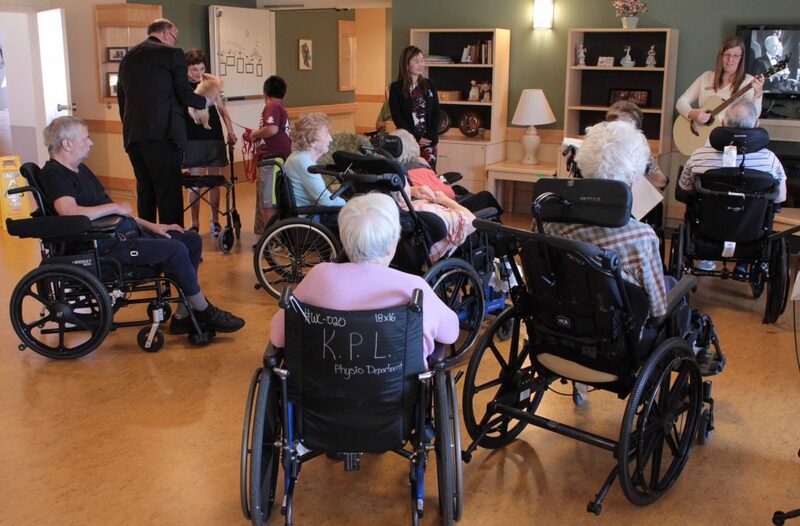 Serving the city of Surrey since 1975 the Kinsmen Lodge is a Government funded senior’s community that is home for several Elders who find a variety of activities and special assistance that families can no longer provide at home. 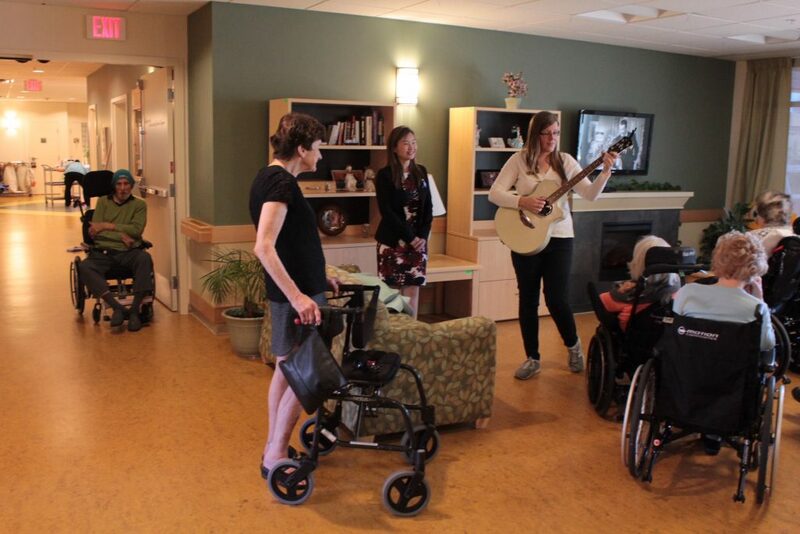 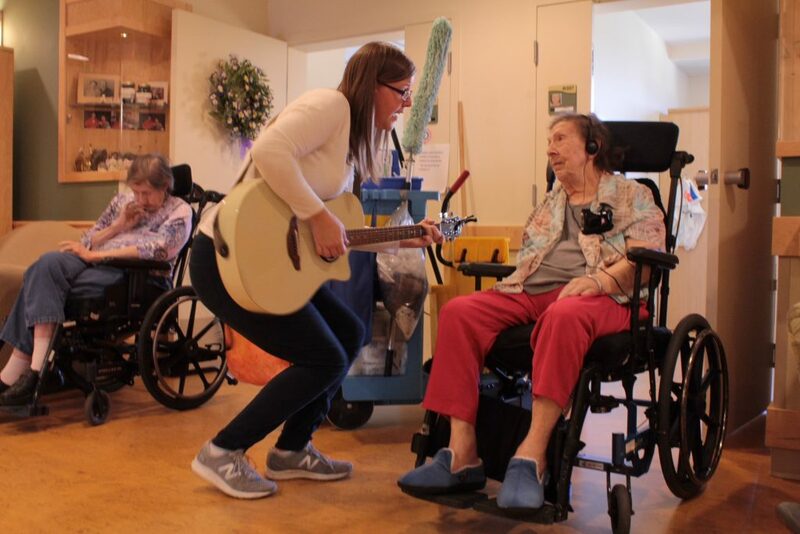 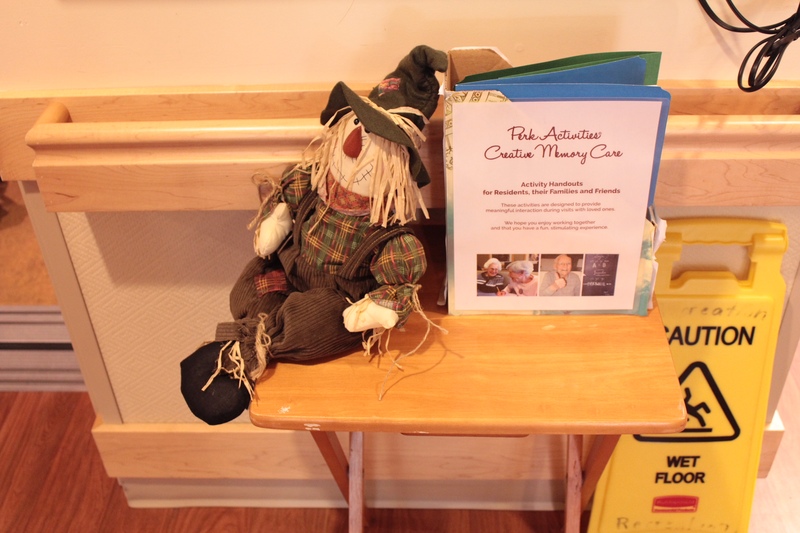 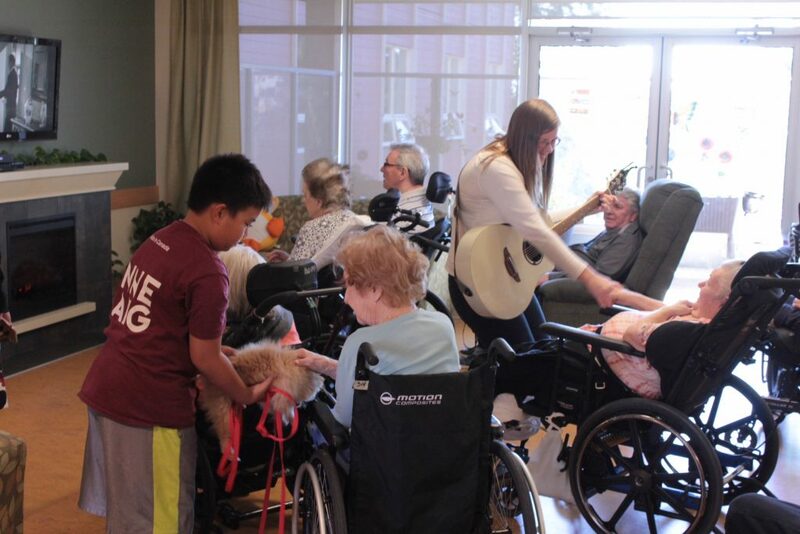 On the occasion the members of the Legislature were presented with the music therapy program that encompasses a dynamic in which the staff encourage the residents to play musical instruments and sing along with a caregiver who leads the presentation playing a guitar. 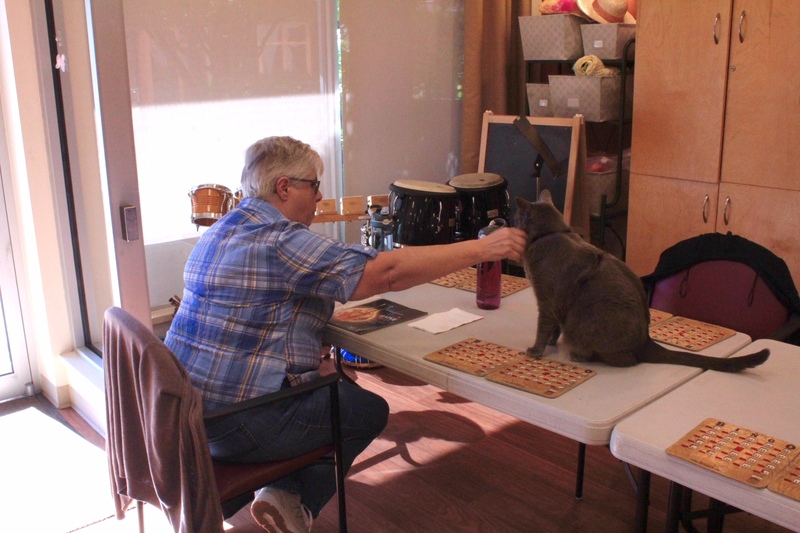 Kinsmen Lodge also provide the animal stress relief program that allows cats to live among the community and also allow the family members to bring their pets while visiting their loved-ones. It was an unique opportunity for the Parliament representatives to experience the routine of the Elders’ community and get in touch with the constituents who are assisted by the institution. 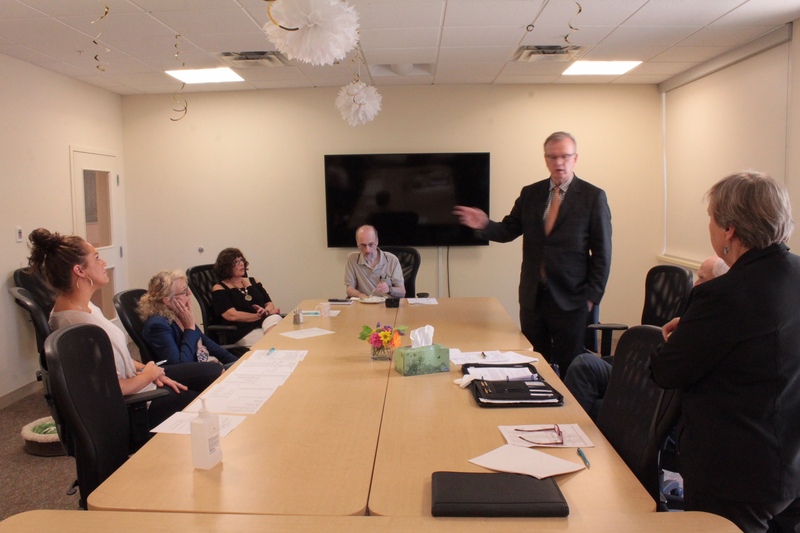 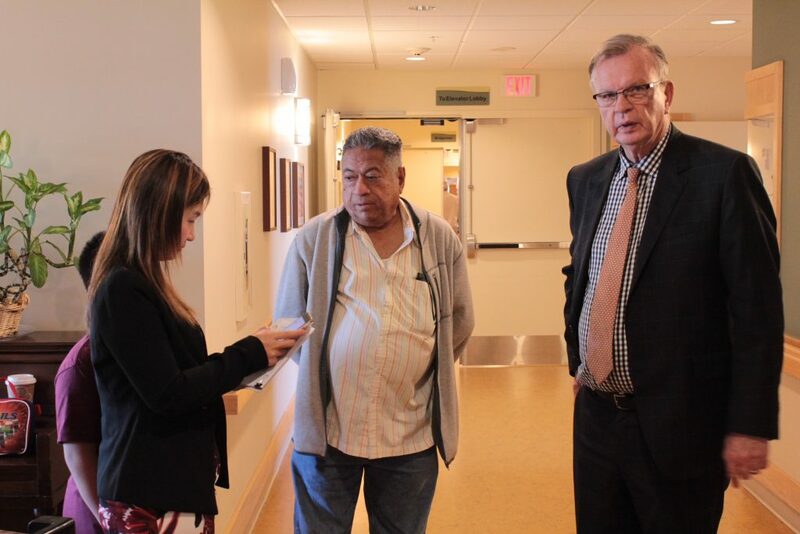 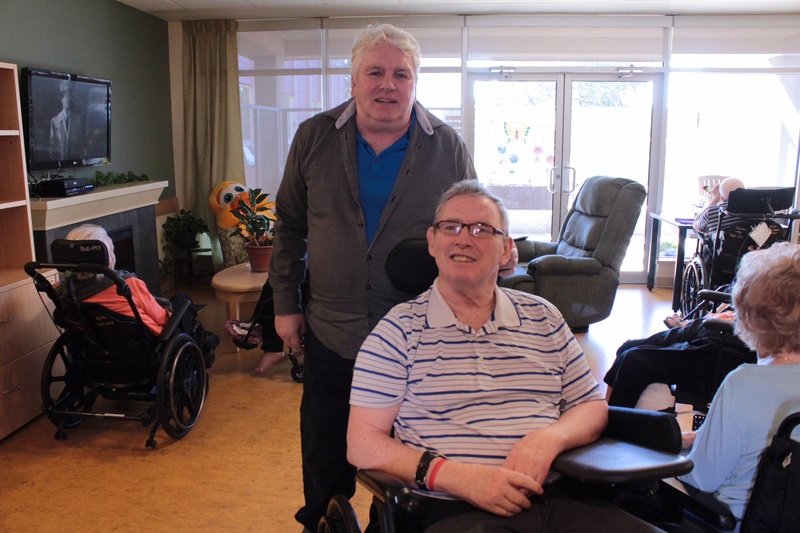 After having lunch with the residents MLA Bruce Ralston had the chance to meet some of the Kinsmen’s board members and hear directly from them about the on-goings of the community.